While you are shopping for a new home, do not forget about your mortgage. Take the time to shop at several institutions. Compare terms, rates and payments. Small items like terms, rates and payments can cost you or save you thousands of dollars over the life of your mortgage. The following list makes some suggestions on how you can make your payments work harder for you. It is fast, simple and free. Before you shop for your home, spend some time with your financial institution. You will receive a written, pre-approval for a specified amount. When you have found your dream home, there’s no waiting, or objections to the seller. In some cases, you may qualify for more or less than the dollar amount you want to commit to each month. Take the time to calculate different payment plans. Be sure you are comfortable with this amount. Develop a budget. Leave yourself some breathing room for unexpected expenses. Before committing to a mortgage ask yourself these important questions: How long will you own this home? Will interest rates rise or fall? Will your income rise or fall? Will you be able to commit to monthly payments? Being objective about these factors can make a difference to the type of mortgage that is best for you. The more you can pay, the more often, the more you’ll save. For example, making weekly or biweekly payments can take years off your mortgage. This way, you lessen the amount of interest accrued over the term. Increasing your monthly payment can also reduce interest and term. Some mortgages allow you to pay a lump sum towards the mortgage at a specified time. Be clear about pre-payment privileges, as not all mortgages include them. You can take a portable mortgage with you, should you move. You will avoid paying discharge penalties and re-applying, unless you’re moving to a more expensive home. A buyer could take over your payments if you have an assumable mortgage. This could work to your advantage, making it easier for a buyer to purchase your home. A Real Estate Professional can provide referrals to financial lenders who can assist you in obtaining the best mortgage for your needs. 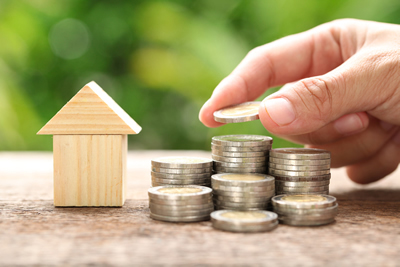 Having worked with families in various financial situations, his or her services can make a significant difference in the cost and effectiveness of the mortgage you obtain.